In 1977 I started a new job teaching English in a girls’ secondary school in Kent. Portrait of Margarita by Ruth M Arthur (1968) was one of the sets of class novels in the stock cupboard. It’s a rather weak story about an orphaned teenager who goes to live with her dishy but enigmatic guardian. What I remember most clearly about it – and I read it several times with classes – is that, as a side issue, it features a family whose small child is severely autistic and the novelist is at pains to explain what this involves. Well, in 1977, I had never heard the term before and neither had most other people. What an encouragingly long way we have travelled since. Good novels abound including Mark Haddon’s The Curious Incident of the Dog In the Night-Time dramatised by Simon Stephens, produced by NT and re-opening next month at the Gielgud Theatre. I have fond memories too of the 2009 dramatisation of Siobahn Dowd’s novel The London Eye Mystery at Unicorn Theatre and there have been many other fiction works which highlight – celebrate even – autistic spectrum disorders. And the great thing about fiction, whether it’s on page or stage (or both), is that it raises awareness – so keep ‘em coming. Another welcome development is the new trend towards relaxed and autism-friendly performances. People on the autistic spectrum often don’t understand theatre conventions, they can be stressed by the darkness and weirdness of it all and they tend to be literalists – so that anything an actor says or does can be taken literally and that leads to fear. 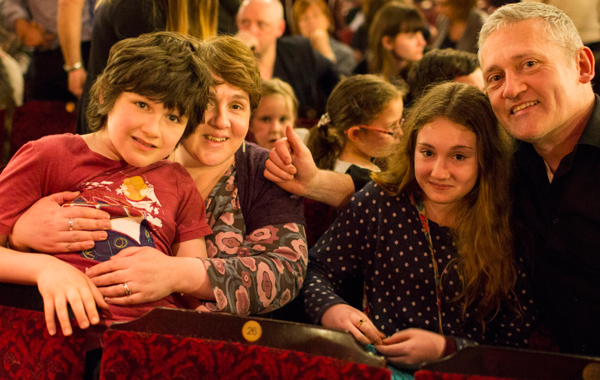 So at the autism-friendly performance of The Lion King earlier this month (see Lisa Martland’s article in today’s Stage – print only) performers, front of house staff and others involved with the show had been scrupulously trained in partnership with the National Autistic Society to accommodate all this. There’s an autism-friendly performance of RSC’s Matilda the Musical next month at the Cambridge Theatre and other companies and venues are rapidly following suit. On a much smaller, but highly influential scale comes the excellence of pioneering Oily Cart which has made a specialism of developing work for young people with profound and multiple learning difficulties (PMLD) or on the autistic spectrum (ASD). The company has just won a very positive, impartial evaluation of its show Tube from the Institute of Education London. Oily Cart’s new show The Bounce tours from 30 August to 29 October. I shall catch it at The Gulbenkian in Canterbury where it opens on 30 August. Autism has gone from something few people knew anything about in the 1970s to being at the centre of public awareness. The arts – with theatre at the forefront – have played a key role in this change and I think that’s something to be proud of. Education and training to the fore. As ever.